When buying a touch screen display, it is important to carefully check every detail to ensure that the device is the best choice for your purpose. But even if the touch screen fulfils all requirements for your meeting room or classroom, it can be difficult to utilise it efficiently without accessories. 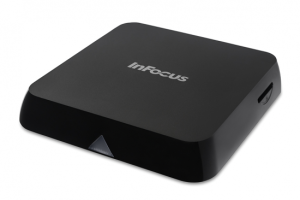 Today we present the top 5 accessories for touch screens from InFocus. 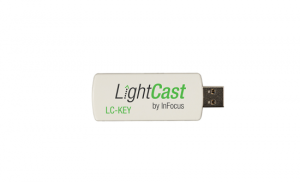 The InFocus LightCast Key is a simple USB adapter that allows activation of the touchscreen’s LightCast functions. As soon as a USB adapter is connected to the touch screen, you can wirelessly connect PCs, laptops and mobile terminals to the touch screen without needing to install any extra software. If you are making a presentation on a Light Cast-compatible screen, the LightCast Key also provides easy access to the Internet via a built-in web browser. 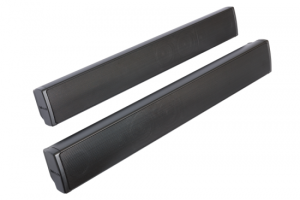 A Soundbar is required for presentation rooms and lecture halls of larger sizes. With the Soundbar, you can enjoy clear and sharp audio. A speaker unit is approx. 67 cm long and can be fastened at the bottom of the screen. With a LightCast Hub, you can virtually organise a wireless presentation or lecture on each screen equipped with an HDMI interface. The hub can be easily connected without the need for additional software. If the touch screen is equipped with a USB interface, you can control the connected hub via the screen. With the LightCast Hub, you can view documents, photos and videos and access the built-in web browser, as well as record, store and share notes and drawings. The wireless hub is compatible with Windows 7 and above, Mac, iOS and Android. BigNote Software transforms the touch screen into an interactive whiteboard. Writing, drawing, and making notes using pins, highlighters, forms and lines becomes child’s play. A Mail Client enables you to directly email all your ideas and project progress to participants of the meeting. Any files that are saved on the touch screen can be exchanged and shared by means of the Mondopads. 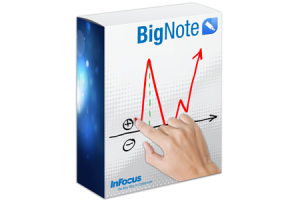 Since BigNote software is an extremely extensive accessory, InFocus offers a 30-day free trial version to its customers to let them test all functions, down to the smallest details. 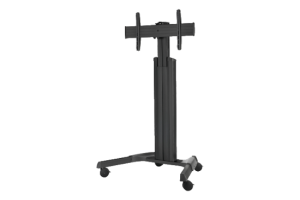 A wall mount or mobile cart is likely the most non-descript accessory of the touch screen display, but at the same time, it is the most important. The mobile cart’s advantage is that the touch display screen can be freely set up in the room and later moved, if needed. The height of the cart can be individually adjusted to each situation and each lecturer. You can also adjust the slope by means of the swivel. The universal bracket can be combined with all touch screen displays. If you want to affix your touch screen in a certain place, you can use a wall mount. 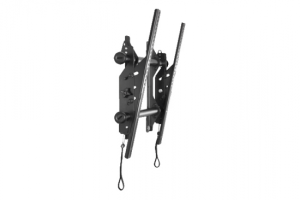 The bracket can be laterally adjusted and tilted, allowing for the easy installation of cables. Like the mobile cart, the wall mount can be adjusted to fit each touch screen display. All in all, each individual accessory has its unique advantages and special features. Each lecturer must decide for themselves which are essential for their work and which are just “nice-to-have”. Accessories facilitate personalisation and customisation of the touch screens in everyday situations and convert them into perfect aids for daily work. This entry was posted in Touch display, Zubehör and tagged accessories, InFocus, Touch Display on 5. March 2018 by Nicola.